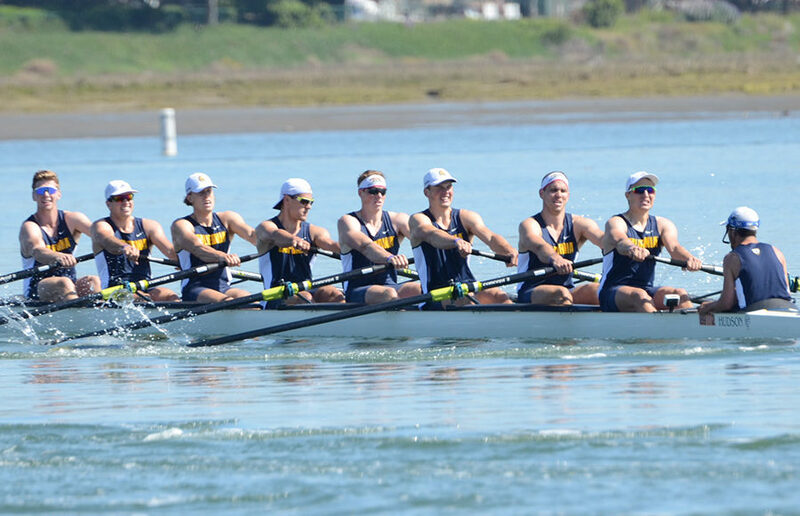 The Cal men’s crew team was given another reason to celebrate Easter weekend — the undefeated streak from the last event in San Diego didn’t stop at the Stanford Invitational in Redwood, California, this season, as the Bears won all nine races over the course of two days. Starting off Friday against Hobart College for the First Varsity and Second Varsity boats, Cal set the pattern of the ironclad winning streak with finishing times of 5:56.3 and 6:05.85, respectively. Saturday morning was no different, with the Bears beating Wisconsin in both the First and Second Varsity boats with times of 5:36.0 and 5:43.0, respectively. 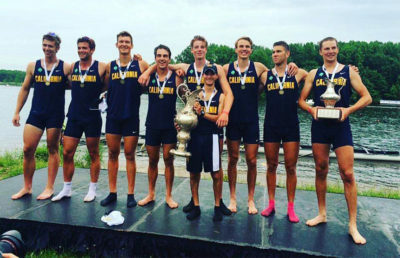 And although not a part of the First or Second Varsity boats, the remaining rowers are in great shape in their current and future performances as they get promoted in their years at Cal. ”You go through your regular season and you have all of these races, and I think the main thing is to see how the lower boats perform — the Third Varsity, the Fourth Varsity, the Fifth Varsity, the freshmen performed really well. It shows that our development program is working, and they will help our top two boats in the future.” said Cal head coach Mike Teti. 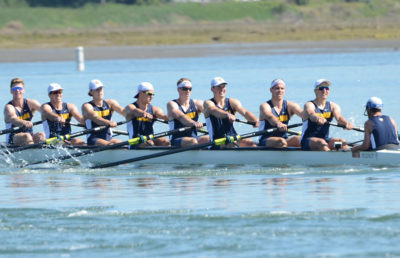 And how strong the Cal rowing program will continue to be is demonstrated in these boats. Third Varsity won against Wisconsin and Orange Coast College with times of 5:59.7 and 6:07.1, respectively. 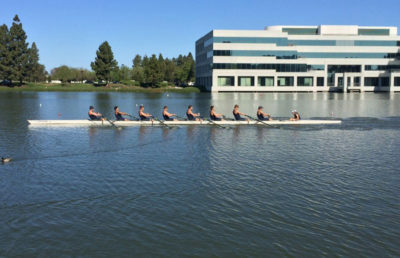 Fourth Varsity nabbed victory with times such as 6:02.3 and 5:55.3 on races against Orange Coast College and Santa Clara and, in the final race, the freshman team continued in the other boats’ footsteps to triumph against Santa Clara with a time of 5:46.8 to 5:54.58. But it’s not time to relax just yet. “I think we made improvements in San Diego, and we need to continue to improve if we want to contend for the championships,” Teti said. The competition is just starting to get heated, as Cal will face Washington on April 22 — a race that Teti anticipates will be a tight one.